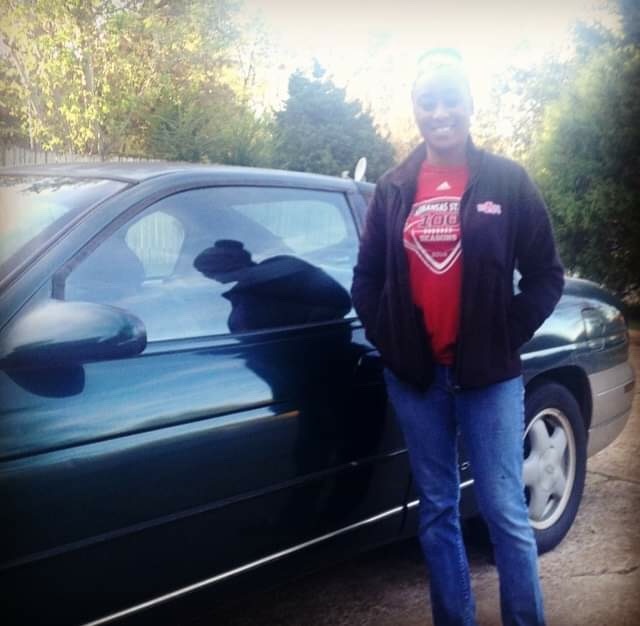 LaShea Robinson stands next to her 1999 Chevrolet Monte Carlo. JONESBORO— A local auto repair shop faces scrutiny after recent claims alleged the mechanic scams his customers. Jonesboro resident LaShea Robinson posted on Facebook warning her friends not to go to Mexican Ray’s Garage for service. Robinson said her business relationship with Ray Garza, also known as “Mexican Ray,” began when her grandmother recommended her to the mechanic. Robinson noticed issues with her 1999 Chevrolet Monte Carlo when she started hearing a loud squeaking noise coming from under her hood. She also noticed her car would shake when she drove. “After his assessment I was told that the front wheel bearing needed to be repaired and I had decided to go ahead and get a tune up, as well,” Robinson said. The mechanic quoted Robinson $350 for the services she requested and the job took him three days to complete. Robinson, who relies on her car for work, dropping her son off at school and making it to his soccer games, noticed around six months to a year later that she was still having issues with her vehicle. “Within that year I had other things repaired such as thermostat, brakes, alternator and compressor. In November of 2017, I contacted Ray because my car had quit at a local neighborhood market,” she said. According to Robinson, the mechanic assured her he could have her car towed from the market to his shop, but it would cost her an additional $50. Her car was still at the neighborhood market the next day. The persisting issues Robinson had with her car were getting in the way of everyday tasks and some were putting her child’s health at risk. After dealing with Garza for over a year, Robinson said she began to question if she was being cheated. The mechanic serviced her car nearly every six months for issues he claimed he had already fixed, according to Robinson. After the mechanic made several attempts to assure her that he was not “that kind of mechanic,” Robinson said she finally made the decision to go to another mechanic. Robinson is still without a car. While her car is now being serviced by another mechanic, it will still cost around $500 to get her car up and running again. Robinson said she made the decision to go public with her claims against Garza to ensure no one else deals with the mechanic. “I worry about him doing this to other women and the elderly and that’s why I decided to go public because I don’t want this to happen to them,” she said. Linda Bouey, another Jonesboro resident, also posted on Facebook claiming she had a similar encounter with Garza. Bouey said she paid the mechanic $800 up front to work on her car. According the Bouey, after three months no work had been completed. Garza started working as a mechanic when he was 10 years old. Garza said the claims against him are disheartening because he tries to give all his customers a fair price. Garza also said he feels as though the claims against him “don’t make sense” because he hasn’t had these issues with other customers and he tries to make all his customers content. While Garza said he is not currently working because of family issues, he still values his profession. “What I tell everybody is, ‘These cars, they might be under your name, but these are my cars.’ I’m going to fix them to the best of my knowledge and as cheap as I can, you know, so the customer can save some money,” Garza said. Despite the allegations, Garza said he does his best to lend a helping hand to everyone. A BBB Arkansas representative also said on at least one occasion an attempt to send mail to the business was made, but it was returned to the post office. In those instances, according to the representative, a business profile cannot be made on a business.